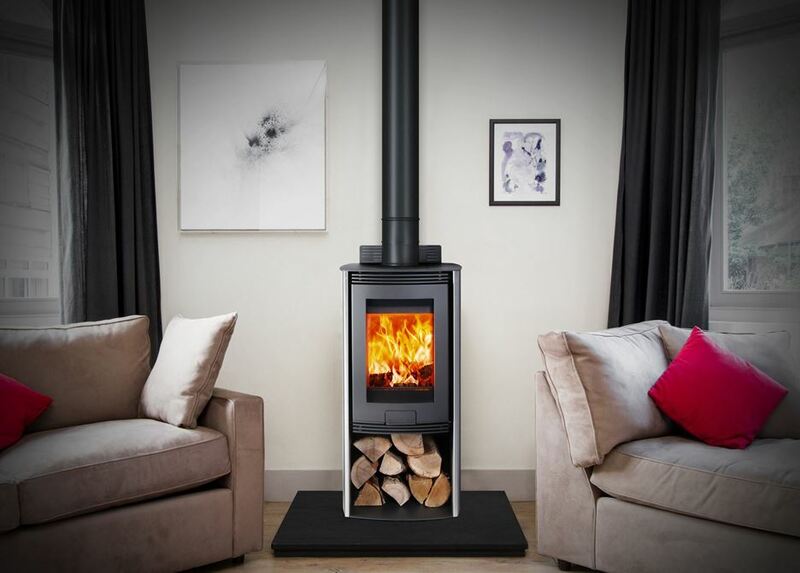 So, you’ve just invested in one of our wood burning stoves, spent time picking the perfect match for your home and watched in anticipation as it was installed. However, there’s one aspect you may not have decided upon: where’s all that firewood going to go?! Fear not, from stylish minimalist spaces to traditional rustic comfort, we’ve got ideas to make your firewood look like well-placed works of art. For anyone who wants to keep the sleek minimalist feel to their home, storing your firewood in a sliding draw is the perfect solution. Mess is kept to a minimum and saves you the extra trips to the shed or garden. Turn your firewood into a functional piece of art. These storage solutions from Vintage Industrial Homewares use classic geometric shapes that can either be kept outside or bolted to your wall inside. The sections are divided so you can store your logs, kindling and fire lighting tools all in one place. There are various sizes and shapes to choose from so a little of bit of something for everyone. Is there a large expanse of space gathering dust under your staircase? Stacking logs under the staircase creates a stylish yet rustic feel for your home - great if you’re looking to keep large quantities of firewood indoors. Make the most of your house by using empty alcoves and in-wall spaces to store your logs. Got time to play? Have your own alcoves built into the wall around the fireplace and make a feature of it. Looking for an easy, cost effective solution? Ikea have a fantastic range of storage solutions you can take advantage of. Play around with different units, combinations and colours to suit your needs. The KALLAX an EKET units offer great flexibility. If you need freedom of movement, Rolling carts not only look the part but give you ease of use from outdoors to indoors, stacking everything neatly in the corner of your room. We hope some of these storage solutions take your fancy. If you’ve done something a bit creative, let us know what your storage solutions are and head over to our Instagram to share them and for even more on-trend home design inspiration.